Sorry for the abundance of halloumi recipes lately! I haven’t really had any pregnancy cravings, but considering I have seemingly eaten halloumi for just about every meal for the past two weeks (no complaints here), I suppose that’s as close as I’m going to get. Really though, halloumi just takes any recipe to the next level, so it’s hard not to include it – I hope you guys agree! 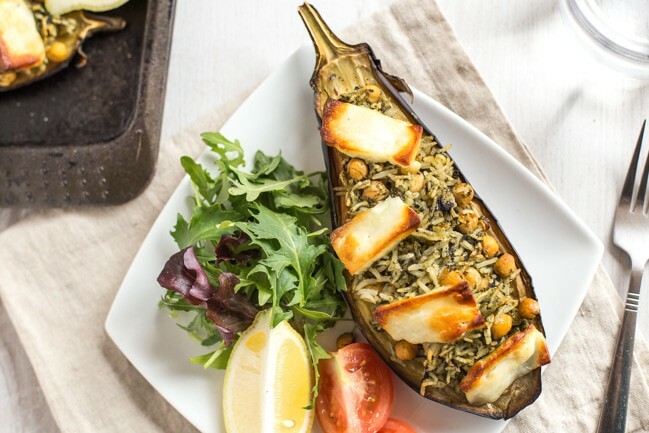 These stuffed aubergines are a healthy, tasty meal whether you add the cheese or not, but it definitely elevates them to something completely irresistible. The aubergines (eggplants!) 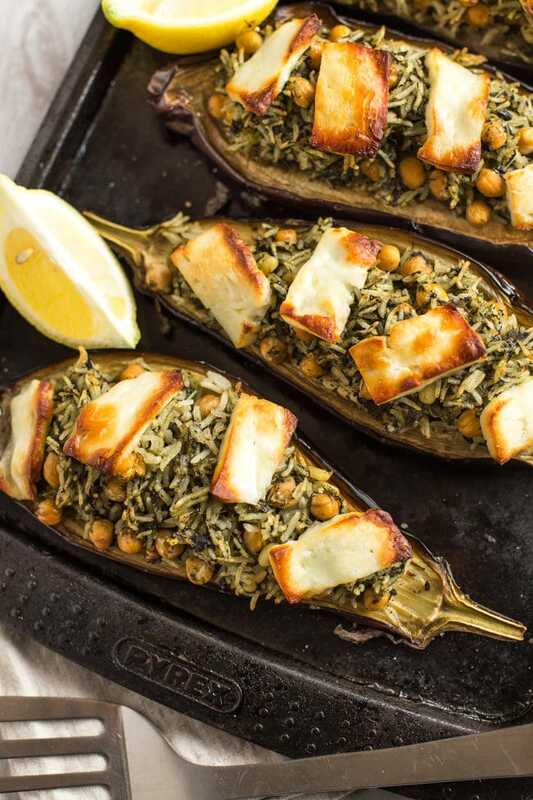 are stuffed with a herby spinach and rice mixture, with chickpeas and pine nuts – lots of goodness. 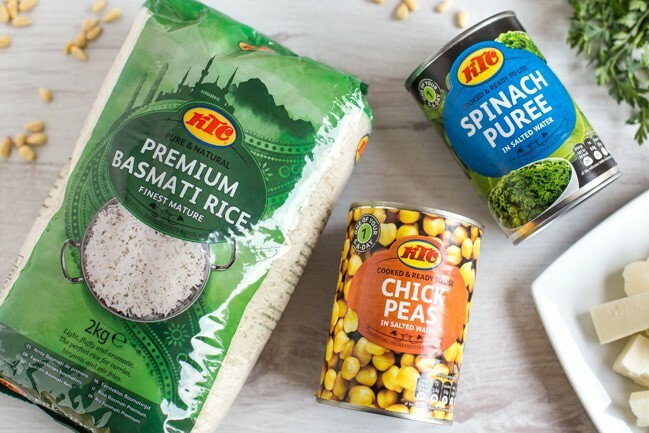 I used a few products by KTC, who produce a big range of tinned groceries, pulses, rice and pasta, and lots more (see the full range here). I tend to find their stuff in the ‘world foods’ aisle of the supermarket, which often seems to be a cheaper place to buy tinned beans, tomatoes etc. than the usual aisle – it’s a bit scandalous that things can cost different amounts in different parts of the shop, but it just goes to show that it’s always worth keeping your eyes peeled for a bargain. Oh, how I love a bargain. I’ve used the KTC rice and chickpeas lots of times in the past, but this was my first time using their tinned spinach puree. It’s basically just cooked spinach (the ingredients are literally spinach, water and salt), so it’s great for throwing into recipes like this. You could cook fresh spinach instead, but by the time you’ve bought several huge bags of the stuff (since spinach seems to have magical properties that makes an entire bag cook down to about a teaspoon’s worth), it works out both cheaper and easier this way. Plus, you don’t need to bother dirtying a second pan for the spinach – once you’ve cooked the rice, the rest of the stuffing ingredients can be mixed right in. I’m all for convenience, and this spinach puree is it! 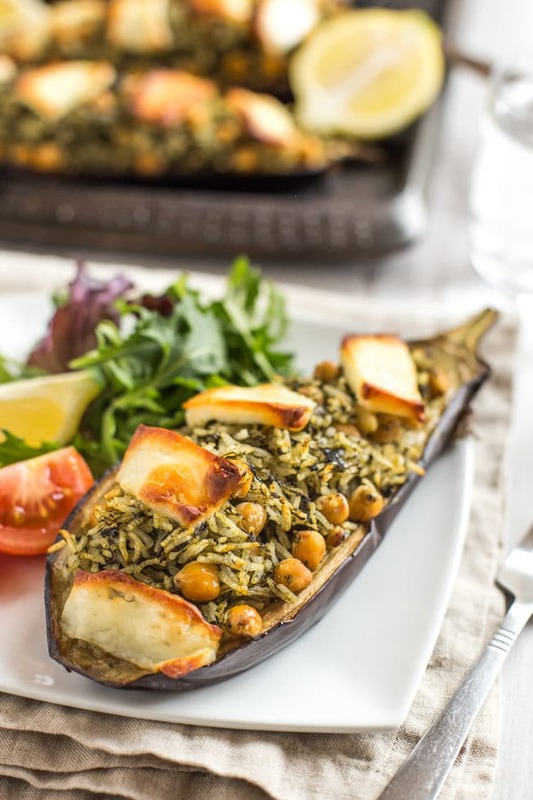 What I love about these stuffed aubergines is that the basic stuffing mixture (spinach + rice + chickpeas) can be flavoured in all sorts of ways to make it feel different each time. 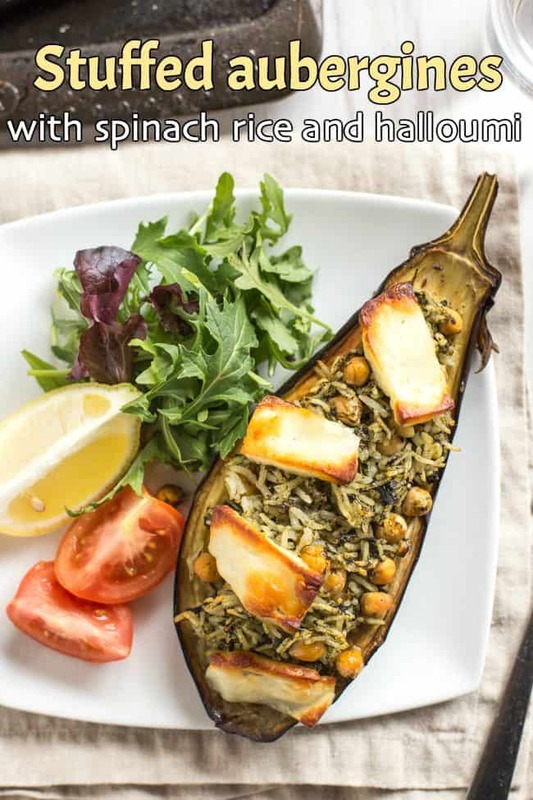 I added some parsley and mint to give a vaguely Middle Eastern feel, but you could instead add curry powder, or maybe a dollop of basil pesto, to take it in a different direction. Then just add a few slices of halloumi, and pop it in the oven for the halloumi to crisp up. The top layer of rice gets a little bit crispy too, it’s a really nice contrast to the soft and fluffy rice underneath! 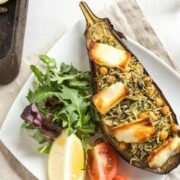 Serve your stuffed aubergines alongside a nice green salad, with a wedge of lemon for squeezing, and you’re all sorted. Cut the aubergines in half lengthwise - leave the stalks on for now, but remove them before eating. Place the aubergine halves cut-side up on a baking tray. Drizzle with a little olive oil, and season with a pinch of salt and black pepper. Roast at 190°C (Gas Mark 5 / 375°F) for around 20-25 minutes, until the flesh is tender. Meanwhile, cook the basmati rice until just soft in a pan with plenty of water - around 10 minutes (don’t overcook). Drain the rice, and add it to a large mixing bowl with the chickpeas, spinach puree, pine nuts, chopped parsley, and dried mint. Mix thoroughly. When the roasted aubergine halves are cool enough to handle, use a spoon to scoop out around 1/3 of the aubergine flesh. Don’t remove too much flesh - you may need to use a sharp knife to cut through the fibres. Keep the flesh you remove for an alternative use (or just eat it straight away!). Note: Nutritional information is approximate, and will depend on exactly what ingredients you choose. Information above is for one aubergine half. Mmm, I loved this dish so much! The rice was addictive, and the salty haloumi was perfectly balanced with the earthy aubergine. Thanks for this great recipe! This was absolutely delicious. My partner, not a huge fan of only eating veggies, loved it too and asked me to make it every week :) good recipe and will be making it again. Your dish looks fantastic! 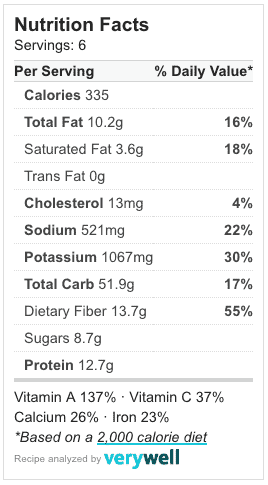 I love the way you put the calories fact for everyone to know the most. Thanks for sharing your recipe! That tinned spinach looks really useful. Even if you start with a huge bagful of fresh spinach it can wilt down to nothing. Great recipe. 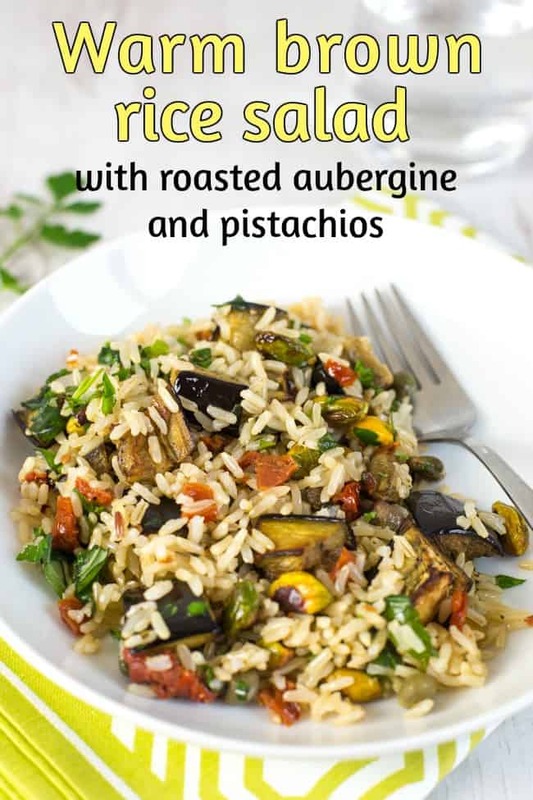 Oh, I love aubergine and really like the idea of serving it this way to make it the star of the show.